I’ve stumbled the recipe on YouTube and made my own variation of this popular milk tea without sago. Here’s how I made it. 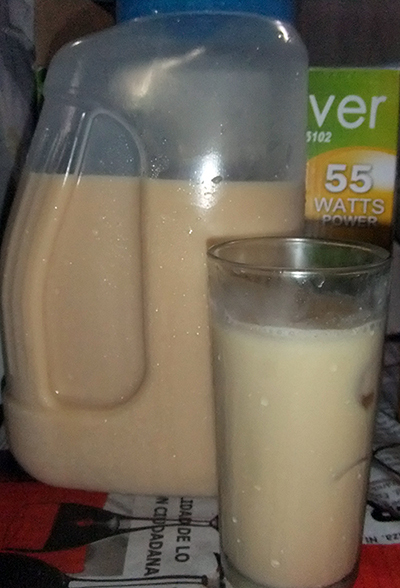 You need the following: evaporated milk, condensed milk, tea bags (I used Lipton tea for this one), water, and ice. 1. In a container, pour hot water over your desired number of teabags (I used 10 to 13 teabags) and let it stand for 10 minutes or more. 2. Mixed the tea with evaporated milk, condensed milk, and cold water. I produced 2.5 liter milk tea after this. 3. You can put ice cubes or ice tubes directly into the container or in a glass of milk tea. 4. Place it in the freezer. The colder your milk tea the better. Other milk tea variations have sago or black gulaman as ingredient. This entry was posted in Recipe, Summer food/drink and tagged homemade naicha recipe, how to make a homemade naicha, Naicha drink, naicha recipe on May 30, 2014 by Yami. Welding Project Ideas for the Welding Newbie: Get Inspired! You’ve heard about welding for years and you’ve always thought it was something badass that you’d love to try, but you never thought it would be something you would actually do yourself. But you’ve found yourself with some time on your hands and a desire to start a new hobby. Well – that means now is the time to start welding! But you probably have no idea what you can weld, so here are some tips for starting up this exciting new hobby. First of all, safety is of the utmost importance. 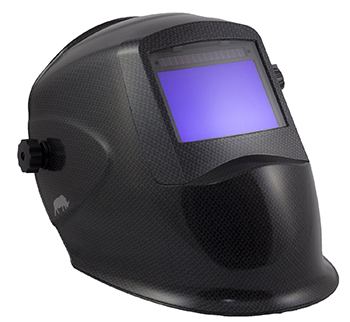 It’s no surprise that welding is dangerous and particularly hazardous to those who do not like to follow safety protocol. Don’t be stupid, since it’s your own safety you’re talking about. There are welding helmets for sale at places like The DIY Outletand you need to get one of those and of course some welding gloves. Once you have the adequate space in your home to work, and these safety materials, you are ready to get going, if only you knew what to weld! 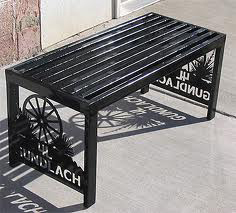 Furniture can be fun, because wrought iron furniture is not only sturdy but also really cool looking. There are patterns available online for following, so you need to find a chair or bench that you think you’d like to make. Get the materials then from a local store and get going. I’d suggest starting with something not too ambitious, so maybe you should go for something like an end table with a simple design. Don’t get frustrated that your first many projects will probably end up being unusable. So don’t let anyone sit on that first bench you make! Car repair and modification. Welding is also useful for making modifications or additions to your car. You won’t want your car to be your first project of course, but once you’re a little more comfortable with the equipment you can do things like fix exhaust problems with relative ease. You can also add cool decorative or functional features to your car, like a spoiler, or a steel-reinforced bumper. 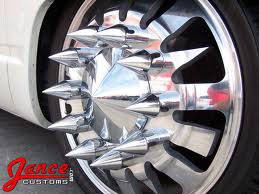 You can add spikes to your wheels, too, if you want to be like the greasers in the movie Grease. Those can be dangerous though so be careful, but they sure are attention grabbing and fun. You can get creative and make things that are more artistic and decorative. For example, you can fashion a weather vane for atop your garage or a wrought iron gate for your home. Once you get good, you’ll be able to have fun making presents and gifts for your friends and family. People will come to expect something iron or steel from you, and you’ll never cease to impress everyone with your artsy skills. And you can even fix their cars, too. Why not? Welding is a great hobby, a great life skill to have that is unique since most people think it’s out of their abilities. So start welding, be safe, and have fun exploring the functional and artistic possibilities. This entry was posted in Miscellaneous and tagged project ideas on May 29, 2014 by Yami. Red wine has been proven by experts to have various health benefits that people can get when they consume wine moderately. If you are wondering what a moderate consumption is, it is composed of about an 8 ounce glass a day or two 4 ounce glasses a day which you can take with your meals or when you just like to relax a bit. Wine Reduces Risk of Acquiring Type II Diabetes – Moderate wine drinkers have a 30% less chance of acquiring type II Diabetes as compared to non wine drinkers. Wine Reduces Chances of Getting a Heart Attack – People with high blood pressure can start drinking wine because moderate drinking can lower the chance of getting a heart attack by about 30%. Wine Lowers the Risk of Getting Any Type of Heart Disease – A lot of people get heart diseases because their heart is not healthy. This is due to people’s diet and also their lifestyle. Reduce the risk of getting this by making sure that you drink wine moderately. Wine contains procyanidins acquired from the tannins. Procyanindins are known to reduce the risk of heart disease. From all these information, you can really tell that wine has a lot of health benefits that you cannot ignore. Aside from the things mentioned above, wine can do a lot more. Moderate drinking of wine can be good for your health. This entry was posted in Food and wellness and tagged benefits of red wine, red wine on May 21, 2014 by Yami.